Canteen Menu will be a summer and a winter menu. 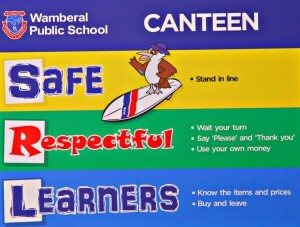 Canteen follow the NSW Healthy Schools Canteen Strategy. 75% everyday foods and 25% occasional foods. Our canteen has been audited by NSW CC Local Health District. Overall we have exceeded the benchmark as we sit at 86% EVERYDAY foods and drinks and 14% OCCASIONAL foods and drinks, with ZERO _ DO NOT SELL items. Firstly we want to thank and congratulate Deb who has been working on everything from home baking to making our own FRESH chicken patties within the small limited space she and her team have, small changes have been make over the past 6 months to support a healthier canteen. We thank our school community for your ongoing support. The P&C runs the school’s Canteen and services over 750 students and staff. 9am for lunch & recess. Deb, our Canteen Manager, is a P&C employee and always more than happy to cater to your needs were possible. P&C also employee two casual staff and rely on volunteers to support the canteen. Use Flexischools for your online ordering 24/7! It’s quick, simple and so convenient. Of course, we still accept cash orders over the counter. With the student numbers being so large, the need for volunteers is even more necessary. If you can help out between the hours of 9.00am – 9.30am or 11.30am to 2.30pm at any time, speak to Deb either in person, by calling the school on (02) 4384 1111, or by email at ua.gr1555712498o.cdn1555712498aplar1555712498ebmaw1555712498@neet1555712498nac1555712498. Friday is becoming a very busy day so any help would be fantastic. For your convenience, School hats can also be purchased from canteen for $12ea. 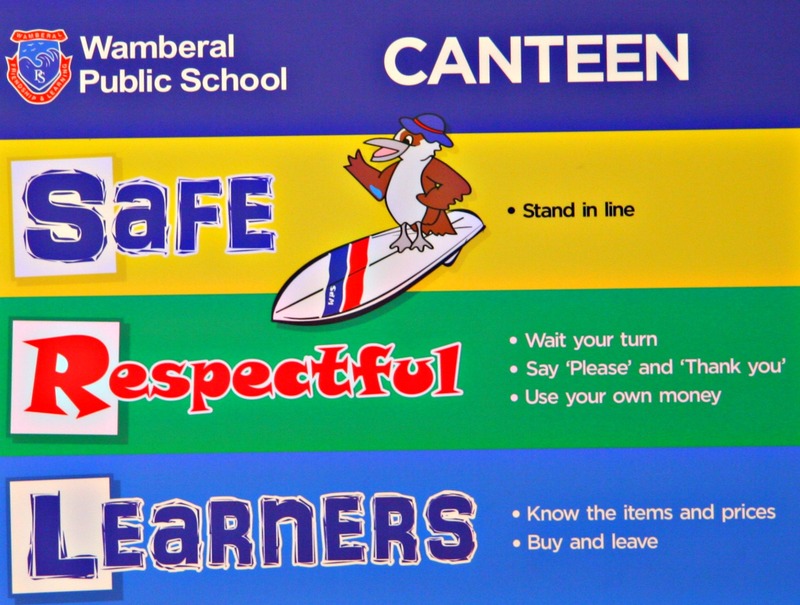 The canteen sub-committee aims to meet a couple of times each term. If you’d like to join the sub-committee, please contact our coordinator at ua.gr1555712498o.cdn1555712498aplar1555712498ebmaw1555712498@csc1555712498. Stay up-to-date by following us on Facebook or on our Events calendar. Since we partnered with our first school in 2008, our commitment to delivering the leading technology platform with the highest level of customer service and support has made Flexischools the leading provider of online ordering and cashless payment systems to School communities in Australia. Our promise is that we will continue to invest in our platform and our customer support offering to make it faster, easier and safer for you and the school community to benefit from our partnership. Given that Account Holders trust us with their money and transactions, we believe it is important for us to provide as much comfort as possible that we will always do the right thing by them. Licence (AFSL) issued by Australian Securities and Investment Commission (ASIC). As an AFSL holder, Flexischools is required to comply with a number of additional legal obligations providing Account Holders peace of mind that you are partnering with the most professional whole-of-campus cashless service provider in the market. Following a recent pricing review, we will be changing two Account Holder (parent) related fees. Account Holders using accepted Credit Cards, namely VISA and Mastercard, or PayPal to increase the balance of an account or immediately pay for goods and services will incur a Credit Card/PayPal Surcharge of 15c + 1%. Previously this fee was 29c for Credit Cards and 35c for PayPal. Electronic Funds Tansfer (EFT) to increase the balance of an account will continue to be fee-free. The above changes are a fairer approach to surcharge recovery and the free EFT option remains in place for Account Holders. The standard Order Fee on food orders will increase Nationally by 4c to 29c per order. An Order Fee of 50c will now apply for seated events or guest services. If you would like to limit the order fees paid by parents, please see the below Parents Unlimited package now on offer. There are no changes to your transaction fee. Whilst there is no change to your transaction fee, there are a range of new pricing options available. Please contact your Flexischools Sales Representative for more information. The changes outlined will be effective from Saturday 16 April 2016 and we will communicate these changes to Account Holders prior to the changes taking effect on their account. Schools Unlimited – For schools or service operators wanting to move towards a cash free environment without any transaction fees. Parents Unlimited – An annual, per student fee replacing the parent order fee. As always, if you have any questions or would like more information about the new Flexischools packages, please contact a member of our Sales Team or Customer Service Team on 1300 361 769 or via ua.mo1555712498c.slo1555712498ohcsi1555712498xelf@1555712498selas1555712498 or ua.mo1555712498c.slo1555712498ohcsi1555712498xelf@1555712498pleh1555712498.